Home » 7 Board Games That Teach Math Skills (and are actually FUN)! 7 Board Games That Teach Math Skills (and are actually FUN)! Editor’s note: Samantha is a college math teacher who also writes a blog entitled, “Social Mathematics.” She offered to share some of her expertise with us here at Engaged Family Gaming and we couldn’t pass it up! Read on for some excellent examples of board games that teach math concepts without being all “teachy” about it! There is a lot of pressure from the media and from peers to believe that math is painful. Sometimes adults try to dress up mathematics to make it look like“a game”. As a gamer, I have been really disappointed in these dressed up math practice games because they miss the point of what a game really is. Instead, they are loosely veiled attempts to manipulate kids to use math in a “fun” way. All is not lost though, great games do exist that use mathematical thinking and math skills. The following is a list of fun games that can inspire mathematical thinking. I have compiled a list of seven wonderful board games for gaming families which can be enjoyed by parent and child alike which also include mathematical thinking. Set is an amazing card game! This is a game that your 6-year-old will be better at than you are. I’m not kidding; kids totally rock this game. This is a matching game that can be played solo or with any sized group. The rules are relatively simple. The cards each have a certain number of shapes on them of a particular color and pattern. A set is three cards which all have the same type of an attribute or miss-match an attribute. Perhaps a set is three cards all have ovals with a striped pattern on them but each card has a different number of shapes (1, 2, and 3) and different colored (purple, green and red). Pro tip: Sometimes there isn’t a set available in the cards on the table. When I play set with undergraduate math majors I ask them to prove to me why there isn’t a set. Challenging older kids to explain why is excellent mathematical practice! This game fits in your purse or stroller and is perfect for a quick distraction and only requires a small table (or floor) of space. 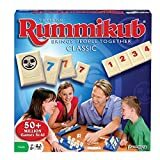 Rummikub is a 2-4 player classic game with lots of tiles to play with and sort. While Rummikub is also about color/number matching, it is more advanced than Set because you can re-organize the board. The matching rules are similar to Set, but now all the collections of tiles stay out on the table and you can steal from already created collections to make a new one. Worst comes to worst, the tiles are fun to play with and you can build things with them! This is a great game to play at home or at the end of the day on a vacation. Every family needs a noisy, clattering, pieces-get-everywhere kind of a game. 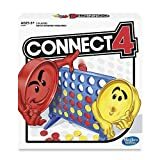 Connect 4 is a childhood classic that supports geometric thinking, planning and pattern recognition. It is a two player game and great for two children to play together. Basically, Connect 4 is an advanced version of tic-tac-toe. I do not recommend taking this game out of your home as you will surely lose pieces. This is a great game to entertain the kids while you are finishing dinner or something. This game is great for parents to play with your kids! It’s a number game which focuses on consecutive ordering. The scoring may take parental involvement as it is a little weird at first sight. However, the cool part about this game is that everyone tries to organize the same numbers at the test cyp same time. So you, as a parent, can compare answers with the other players. “Oh, that was a good choice, I didn’t think to do it that way!” The only negative to 20 Express is that it obviously uses math and that may turn off some kids. This game is good for traveling as it doesn’t require a central table and any number of people can play at once. Each player just needs a pen and something to write on. This game is really fun! It is a time commitment (maybe an hour once everyone knows the rules) and requires a big table. There are lots of little train pieces that you get to place on the board when you build railroad tracks between cities on the map. I don’t recommend this game if you have a cat or child who likes to jump on the table and mess up the board. This 2-5 player game requires business optimization similar to operations research. There is no money, but you have to collect cards which include restrictions on where you are allowed to build. This game requires a longer attention, but is full of bright colors and will definitely be just as fun for the parents as the children! Rush Hour is one player, portable, colorful, and mentally wonderful. The board is small and packed with vehicles which have set directions that they can move. The goal is to move the vehicles in a particular order to get the little red car out of the traffic jam. A negative is that every piece is important. Don’t lose them! 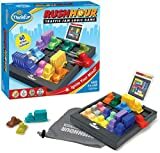 This game is great for waiting rooms or car trips as it comes with its own board and it small enough to hold in a child’s hand or lap. Sumoku is a math-centric game for 1-8 players. Think of it as Scrabble/Bananagrams for numbers. You add to the existing tile layout based on a specific mathematical goal. For example, every row must add to a multiple of 3. This is a great game to support a young mathematical thinker because along with practicing basic computational skills, the player is also planning and matching. Unlike Bananagrams, there is no element of speed, so young players may take as long as necessary to check their math before they place their tiles. Like 20 Express, this game obviously uses mathematics. 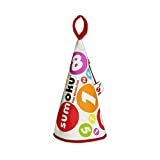 But, I believe Sumoku is interesting and dynamic enough to provide entertainment to the whole family. This game is easy to transport and requires a central table. My recommendation is that, if you only buy one of these games, get Set. 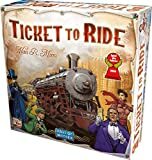 Then I would pick up Ticket to Ride. After that, your choices should depend on you and your children’s interests. And remember that your involvement always improves the quality of the game. Mathematical thinking requires self-reflection and the ability to collaborate. Challenge your kids to explain why they made a particular choice or ask them to help you with your move. Looking for more games and math? Check out more articles here! What do you think? Sound off in the comments and let us know your thoughts! Make sure to keep your eyes on Engaged Family Gaming for all of the latest news and reviews you need to Get Your Family Game On! Ubisoft Announces Child of Light! Episode 166: More New York Toy Fair News! Episode 164: New York Toy Fair 2019! Thanks for sharing your thoughts about board games. Hi Samantha, Great blog on math board games. I work for LogicRoots, a company that work tirelessly to make math a fun subject for kids. We have made original math board games, app and card games that give upto 20 times more practice in math. More than that, kids are motivated to practice math more and more and bond over a fun game. Through the reviews of our games on Amazon, we were overwhelmed to see that our games have helped children with ADHD and dyslexic students as well. I was just wondering that if you would like to test our game and check out for your self if they really work. Please contact me and we can take this further. We would be interested. Shoot us an email. Editor@engagedfamilygaming.com is our email address.